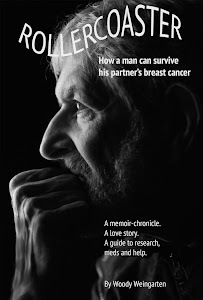 A new examiner.com feature article titled "Woody Weingarten's ride through wife's breast cancer may help you" states unequivocally that my book "is worth reading even if no one in your life has cancer." "Because," it says, "it is filled with very smart clues about how a man can be the best possible husband or partner. And how a wife can help him be that." "Rollercoaster: How a man can survive his partner's breast cancer," the story points out accurately, is also "a guide to give people a sense of what they will be facing" if, unfortunately, a life-threatening disease does strike. It furthermore labels the book "a memoir, a love story, a research guide, and some realities of chemotherapy and medications." 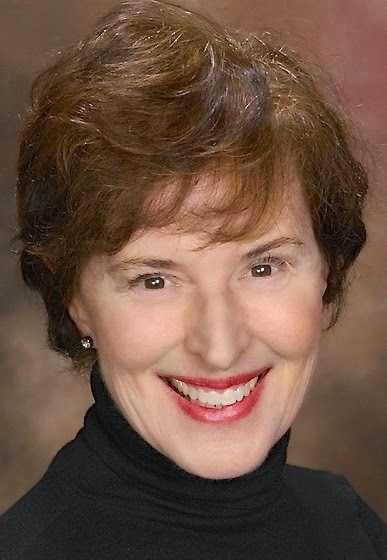 Written by Janet Gallin as an adjunct to her "Love Letters Live" podcast package, the online piece notes that the "husband of a woman diagnosed with breast cancer has to…survive his own terror in order to be a strength to her." How to do that, despite the ups and downs, is the main thrust of my new VitalityPress book. Accordingly, the article indicates, "Rollercoaster" can help you figure out what is true concerning the disease, its treatments and its aftermath — and, by the same token, what is not. And that's not as easy as a caregiver or patient might think. "A study says X is true and Y is false, the next week it is the opposite," I'm correctly quoted as saying. The piece maintains that I'm a survivor of my wife's cancer. But she, too, is a survivor. And we're both thriving. You can read the entire article here — and then learn even more by following a couple of its links. 'Liquid biopsy' — new weapon in cancer battle? "Liquid biopsy," a new blood test, has shown promise of locating cancer DNA in a patient's bloodstream, according to an article in "The New York Times." The piece appeared April 19 under the byline of Gina Kolata, the newspaper's health writer. It encouraged me, Woody Weingarten, and gave me renewed hope. I tend to be a rose-colored glasses kind of guy anyway, and believe it's cause for celebration any time anything that even resembles a breakthrough pops up. My book, "Rollercoaster: How a man can survive his partner's breast cancer," will attest to my positive thinking, to my steadfast belief that there can be light at the end of the proverbial tunnel. Kolata's article says the "hope is that a simple blood draw — far less onerous for patients than a traditional biopsy or CT scan — will enable oncologists to quickly figure out whether a treatment is working." Failing treatments, she continued, "could be abandoned quickly, sparing patients grueling side effects and allowing doctors to try alternatives." 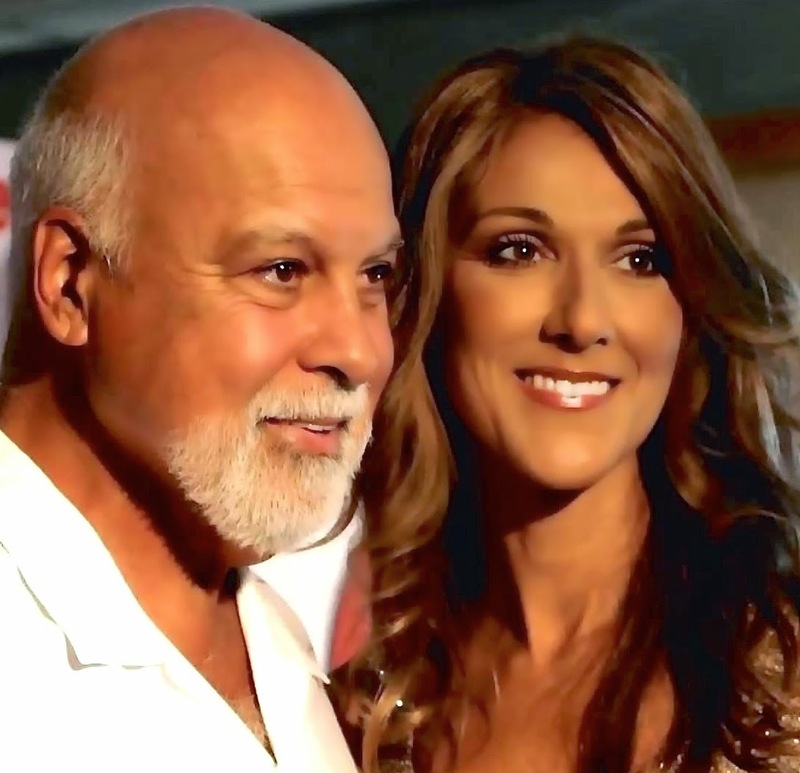 Superstar Celine Dion's caregiving for her throat-cancer patient husband Rene Angelil isn't far removed from the care I gave breast-cancer patient Nancy Fox, my wife. In the final analysis, I'm convinced, all caregiving overlaps. The singer's accounts weren't surprising: Women, are natural caregivers. We men, however, are used to believing we can fix everything — even when we can't. So the caregiving role doesn't fit us quite so easily. It sometimes becomes necessary anyway. 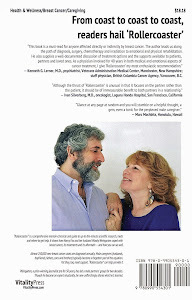 The pop diva and I are two of what The New York Times reports are more than 35 million caregivers in the United States. Dion recently publicized her helpmate activities — including feeding her husband-longtime manager through a tube three times every day — on television's "Good Morning America." Her tearful interview was conducted by Deborah Roberts of ABC News. As for me, I wrote extensively about my caregiving role in a new VitalityPress book, "Rollercoaster: How a man can survive his partner's breast cancer." It's a volume — available in hardcover, paperback and ebook formats — that's aimed at male caregivers. It supplies information on the latest research and meds, and indicates where to get help. The 47-year-old Canadian singer took a year off from her Las Vegas residency at Caesars Palace in August to deal with Angelil's disease. Dion has three sons with Angelil, 72, whose cancer returned late last year after being in remission since 1999. He subsequently stepped down as her manager, and was replaced by Aido Giampaolo. Dion hopes to return to Vegas in August with a revamped show. Regarding her daughter's caregiving, Therese Dion, a TV personality in Quebec, was quoted a while back by the Toronto Sun as saying, "I think it’s so beautiful and smart for Celine to be with her husband and children. She reassures the kids." Despite many substantial advances in treatments and meds, cancer still can be devastating for patients and caregivers — because of fear. Sensationalized scare tactics from the media don't help one iota. And that's why I, Woody Weingarten, author of "Rollercoaster: How a man can survive his partner's breast cancer," which is aimed at a patients as well as caregivers, recently wrote a letter to the editor of the Marin Independent Journal, the only daily newspaper in my home county. The letter, which I hoped might help quash some cancer fears, was published this week. Why does cancer, the subject of the recent three-part Ken Burns executive-produced PBS series, like so many other documentaries and media reports on the subject, focus on death and not life? Why are primary caregivers — especially males — forgotten or treated as if they're invisible? My new book, "Rollercoaster: How a man can survive his partner's breast cancer," shows there can be light at the end of the proverbial tunnel. For both caregivers and patients. Why am I sure? My wife had breast cancer 20 years ago, then a melanoma 11 years later. I had prostate cancer eight years ago. Not only did we survive, we’re thriving in our mid-70s. And I’ve been running Marin Man to Man, a men’s support group, for almost two decades. I believe every attendee would agree we all should live out a cliché: one day at a time. How? As the old song suggests, by accentuating the positive and eliminating the negative. Reality TV star Kelly Osbourne apparently has the same gene mutation that superstar Angelina Jolie has. So did Kelly's mom, Sharon. But, unlike her mother, who had a double mastectomy in 2012, and Jolie, who opted to have both breasts removed two years ago and her ovaries and fallopian tubes just recently, Kelly's putting off any prophylactic surgery. She did, however, praise Jolie (while being a guest on "The Talk") for going public about it all, according to the Daily Dish column on the SFgate.com website. "I applaud Angelina," the site quoted her as saying, "because she's bringing attention to this and now people are going out and getting tested for it." The BRCA1 gene, which all three have, puts them at a higher risk for breast and ovarian cancers. In my new VitalityPress book, "Rollercoaster: How a man can survive his partner's breast cancer," I, Woody Weingarten, deal with many of the pros and cons regarding the gene and its risks — as well as the ups and downs of being a male caregiver. If you click here, you can read the entire Daily Dish piece. Yes, 30 minutes and 33 seconds can take a chunk out of your day. So's my new VitalityPress book, "Rollercoaster: How a man can survive his partner's breast cancer." Besides, you can always split the 30:33 into multiple listening sessions. On the other hand, if you find it that enthralling, listen again. What in Heaven's name am I raving about? The amount of time it'll take to hear a new podcast with and about me, Woody Weingarten, and my book. It lovingly promotes both — and, in the process, helps breast cancer caregivers and patients. 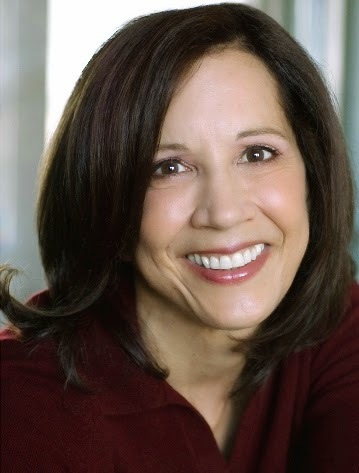 The interviewer is Janet Gallin. The venue is her creation, Love Letters Live, once a San Francisco radio talk show and now a vital branch of the examiner.com tree that, I've been informed, is "an entertainment, news and lifestyle network serving more than 20 million monthly readers around the world." Click here to find the podcast button on the bottom of her page about me, Woody Weingarten and "Rollercoaster." "Writing love letters filled with hope, passion, compassion, memories, gratitude and promises," she contends, "is significant gift to writer, recipient and generations to come." Check out my love letter to my wife, Nancy Fox. You may learn something interesting about her, me, my book or being a caregiver. The 1971 Alka Seltzer commercial that became a catch-phrase may have said it better than I can: "Try it. You'll like it."